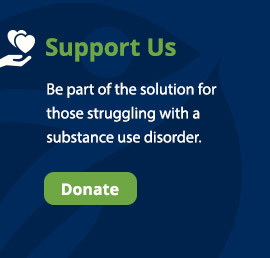 We are committed to improving the quality of life of individuals, families and communities by providing effective, compassionate, respectful, and culturally competent substance use disorder services. We aspire to provide a setting where individuals receive care that will empower them to develop hope and healing in a supportive, recovery focused environment while fostering independence and self-sufficiency. Collaborate with the human service community at large to deliver and continually improve comprehensive, accessible, quality and cost-effective treatment and education services, with particular consideration for those without recovery capital and those who are disenfranchised because of their disease.